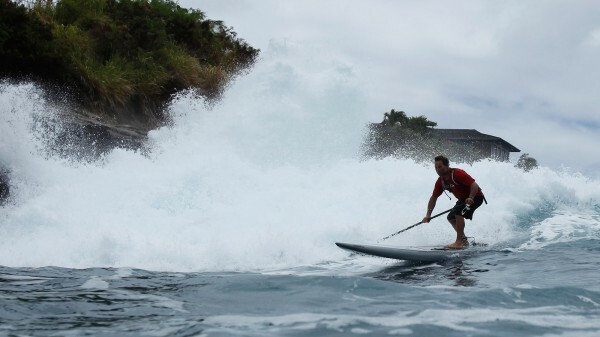 SUP Unlimited competitor Dave Kalama catches a fortunate bump on his way to his 2nd place finish. Professional surfers Rob Machado, Joel Parkinson and Jamie Sterling test wave riding skills on the Channel of Bones. A record number of traditional and SUP paddlers participate in 2012 race. Honolulu (July 29, 2012) – Any paddler at today’s 16th annual Molokai-2-Oahu Paddleboard World Championships (M2O), presented by Kona Longboard Island Lager would agree that there were nearly 300 personal victories for those who completed the grueling 32-mile crossing of the Ka’iwi Channel, also known as the Channel of Bones. 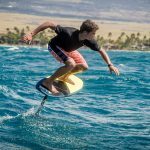 When the final race results were in, new course records were set, two champions successfully defended their titles, two new champions were crowned and three professional surfers tested their wave riding skills on wind-whipped waves from the shores of Molokai to Oahu. Fast conditions aided athletes in the SUP division, resulting in another record setting year for both the men and the women. Connor Baxter, 17, from Maui defended his 2011 title in a time of 4 hours, 13 minutes, 26 seconds. This was a repeat vicory for Baxter who exchanged the lead many times with M2O veteran Dave Kalama who is 30 years his senior. Baxter’s finish time beats his former course record by more than 13 minutes set last year. Less than eight minutes behind Baxter was Kai Lenny, 19, from Paia, Hawaii who powered his stock board to third place overall in the men’s SUP division. His time of 4:22:14 also won Lenny the top spot and the new course record in the stock SUP category. 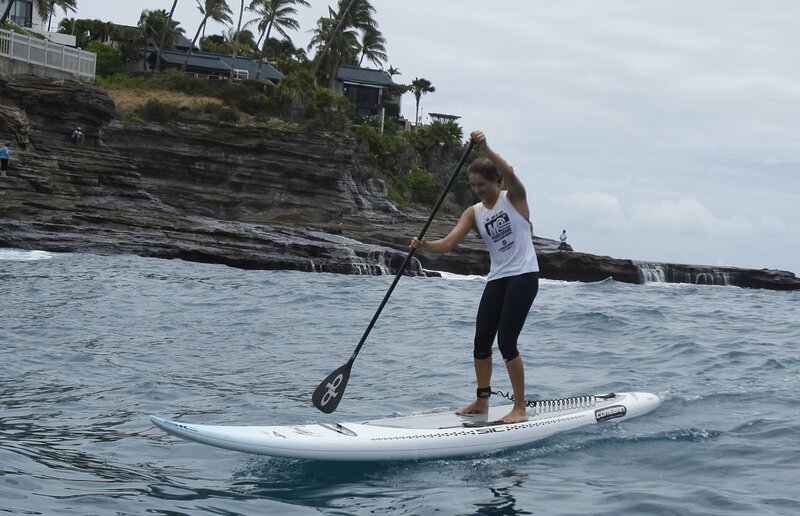 In the women’s unlimited SUP division, Maui native Talia Gangini, 19, took down the 2011 champion Andrea Moller’s course record by more than 30 minutes, finishing in 4:55:02. In a reversal of fortune, this was Gangini’s first win at the famed race after finishing second to Moller, 32, in 2011. Today was Gangini’s second solo crossing over the Ka’iwi Channel. Rachel Bruntsch, 28, from Honolulu, Hawaii won the stock SUP category in 5:49:10. Using only the power of their arms to propel their boards across water, two Australians continued their country’s dominance in the unlimited traditional (prone) paddleboard division M2O. Brad Gaul, 33, is now the first new champion in a decade at the world champsionships after ten-time champion Jamie Mitchell stepped away from men’s prone paddling at M2O. Gaul, who finished in 4:43:54, said he dreamed of this moment for a longtime and recognized M2O as the Super Bowl of paddling. On the women’s side, 18-year-old Jordan Mercer defended her 2011 title in a time of 5:34:53, holding up two fingers as she glided across the finish. 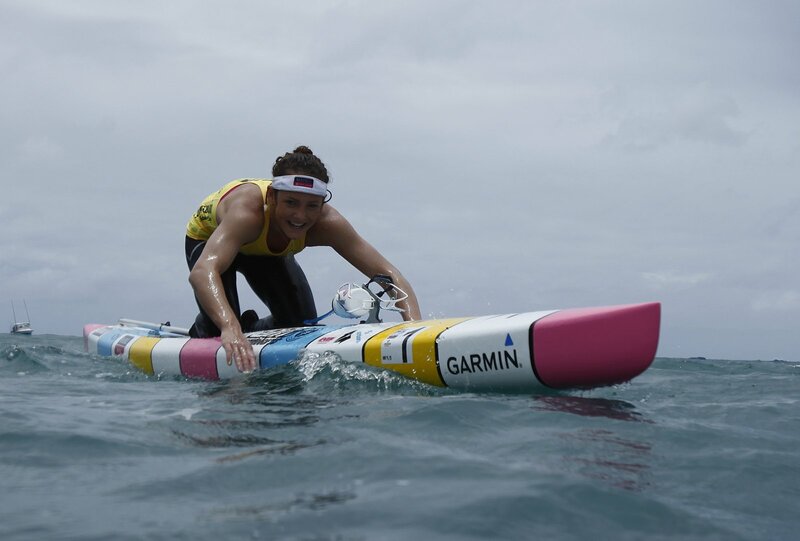 The rough conditions on the channel prevented record times for the prone paddlers this year, but with eight-time champion Kanesa Duncan-Seraphin bearing down on her, Mercer was more concerned with securing a win rather than bettering the current course record she set in 2011. Duncan-Seraphin, 36, from Kapaa, Hawaii finished second (5:45:00) in her 12th M2O. Jack Bark, 18, won the stock prone paddleboard category in 5:28:16. 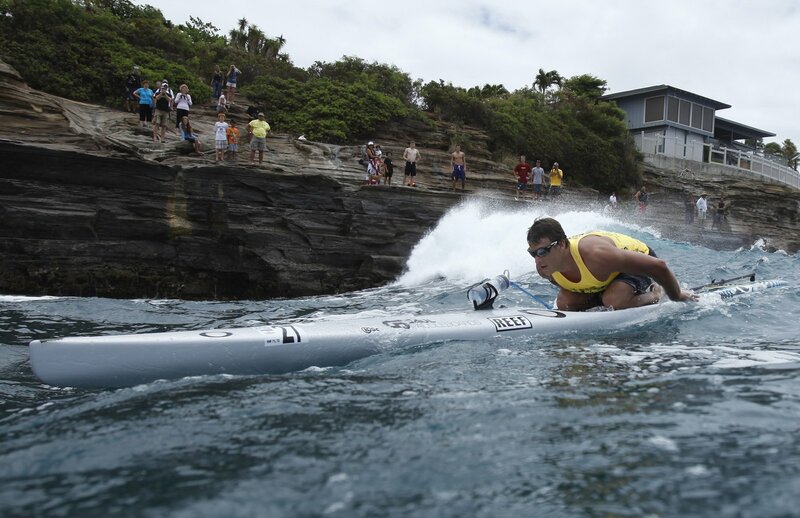 In his first solo crossing of the Ka’iwi Channel, Bark bested the Australian paddler Zeb Walsh, but only by a few board lengths. Bark’s father Joe also completed the race today in 6:41:45. Joanna Bilancieri, 38, from Honolulu, Hawaii won the women’s stock paddleboard race in a time of 6:39:43. Professional surfers Rob Machado, Joel Parkinson and Jamie Sterling who participated in two and three-man team relay got their first taste of riding waves in the middle of the churning channel. After his three-man SUP team finished in 6:00:42, Machado admitted that the channel got the best of him at times, but also provided excitement and a unique experience. 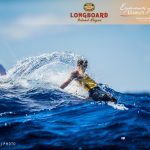 ASP World Champion, Joel “Parko” Parkinson teamed up with fellow Australian, friend and paddleboarding pro Wes Berg in the two-man stock traditional category. The two navigated to a 6:18:47 finish time and check a goal off Parko’s life list. Big wave surfer Jamie Sterling and friend Tucker Ingalls paddled their two-man SUP team to a 5:45:17 finish. Online race results are now available at Molokai2Oahu.com. Stand Up Paddle Magazine, Sambazon, Ocean Legends Dive Shop, Hobie Bags, Hotel Renew and Aqua Resorts. 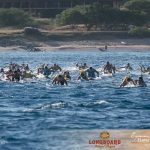 Founded in 1997, the Molokai-2-Oahu Paddleboard World Championships, presented by Kona Longboard Island Lager, celebrated its 16th anniversary on Sunday, July 29, 2012. The annual race has grown from a grassroots challenge for the legendary lifeguards and watermen of Oahu to the premiere event for the sport of paddleboarding. 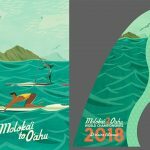 Nearly 300 of the world’s most accomplished paddleboarders, both prone and SUP, from 15 countries crossed the challenging 32-mile open-ocean Ka’iwi (kah-EE-vee) Channel from Kaluakoi Beach on the north shore of Molokai to Maunalua Bay on the south shore of Oahu. 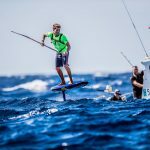 The fastest athletes completed the crossing in less than five hours, facing powerful currents as they surfed for hundreds of yards atop swells that can reach heights of more than 21 feet. 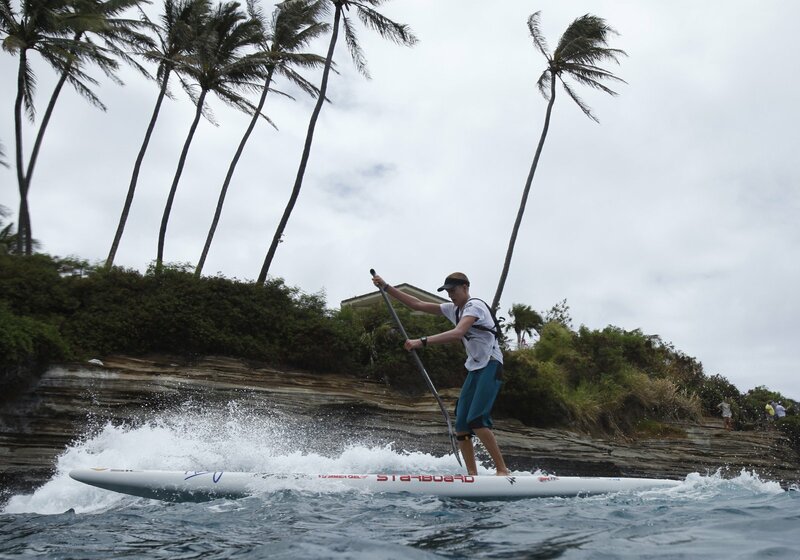 The race features two divisions, prone paddleboard and stand up paddleboard (SUP) with athletes competing as solo paddlers or in teams of two and three. Paddleboards are classified into unlimited (no size limit and with the movable rudder system) or stock categories (12 feet or under for prone paddlers and 14 foot or under for SUP with fixed fin).